Millennials are pretty stressed out about their long-term finances, according to Bank of America’s latest Merrill Edge Report. Some 80% of millennials say they think about their future whenever they pay bills. Almost two-thirds contemplate their financial security while making daily purchases. And almost a third report that they often ponder their long-term finances even while showering. What’s eating millennials? Student loan debt. 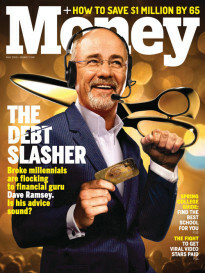 Even the very affluent millennials surveyed by Bank of America feel held back by student debt—and these are 18-to-34 year-olds with $50,000 to $250,000 in assets, or $20,000 to $50,000 in assets and salaries over $50,000. Three-quarters of these financially successful Millennials say they are still paying off their college loans. Among investors carrying student debt, 65% say they won’t ramp up their retirement savings until they’ve paid off all their loans. But with that choice comes a lot of guilt: 45% say they regret not investing more in 2014. Contrary to popular wisdom, millennials are committed to investing for retirement. Bank of America found that the millennials surveyed were actually more focused on investing than their elders. More than half of millennials plan to invest more for retirement in 2015. But 73% of millennials define financial success as not having any debt—and by that measure, even relatively wealthy millennials are feeling uneasy. Fear not, millennial investors. You’re doing just fine. First off, you’re saving more — and earlier — than your parents’ generation did. A recent Transamerica study found that 70% of millennials started saving for retirement at age 22, while the average Baby Boomer didn’t start until age 35. On average, millennials with 401(k)s are contributing 8% of their salaries, and 27% of millennials say they’ve increased their contribution amount in the past year. Even if you can only put away a small amount at first, you can expect to ramp up your savings rate during your peak earning years. Save enough to build up an emergency fund. You could be the biggest threat to your retirement savings. 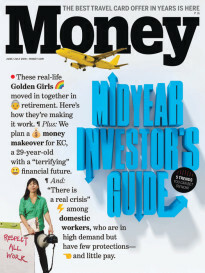 A recent Fidelity survey found that 44% of 20-somethings who change jobs pull money out of their 401(k)s. (That’s partly because some employers require former workers with low 401(k) balances to move their money.) Fidelity estimates that a 30-year-old who withdraws $16,000 from a 401(k) could lose $471 a month in retirement income—and that’s not even considering the taxes and penalties you’d owe for cashing out early. If you have to make the choice between saving and paying off debt, at least save enough to get through several months of unexpected unemployment without draining your retirement accounts. Pay off any high-interest debt first. When you pay off debt, think of it this way: You’re making an investment with a guaranteed return. Over the long term, you might expect a 8% return in the stock market. But if you have a loan with an interest rate of 10%, you know for certain that you’ll earn 10% by paying it off early. Save enough to get your employer’s full 401(k) match. The 401(k) match is another investment with a guaranteed return. Invest at least as much as you need to get the match—typically 6%—with the goal of increasing your savings rate once you’ve paid off the rest of your debt.